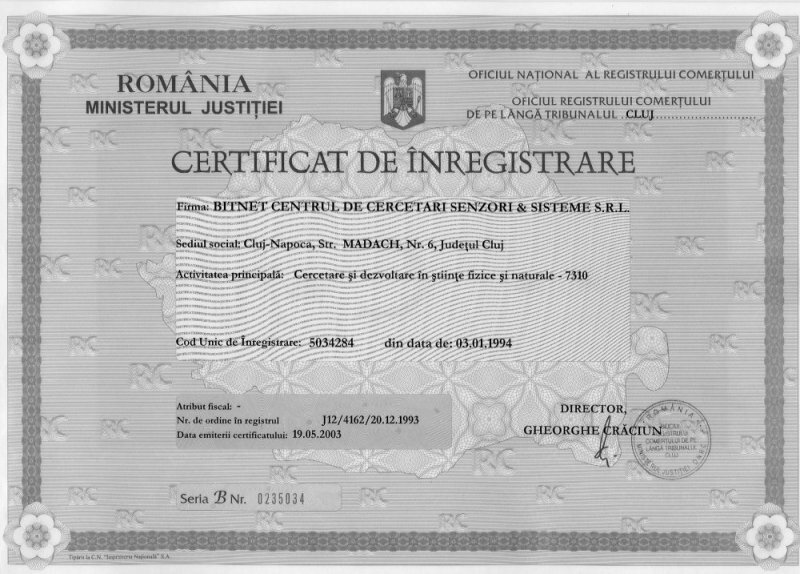 BITNET-CCSS is a small private company registered in Cluj, Romania, which is active since 1993 in the field of technological research & consulting. and has granted access to complementary facilities belonging to some project partner organizations. The company team is currently composed of 8 professionals involved in company and project management activities, plus personnel employed on a project-by-project basis. It is our solution for keeping project costs low and still high level of expertise and flexibility. Main research and business areas: applications of satellite communications, small radiotelescopes, prototype surveillance of space sensors (optical and radio) and information technology. BITNET is involved in the development of the Romanian space program and has completed more than 50 R&D projects until today, many of them in partership with Romanian authorities, universities, researh institutes or other companies. BITNET is involved in space related international projects and activities, including cooperation with ESA and NATO. Our test bed for satellite communication and surveillance of space experiments – in development. Located in Marisel, 1150 m altitude, 50 Km far from our offices in Cluj-Napoca. Electromagnetic quiet zone and without light pollution. 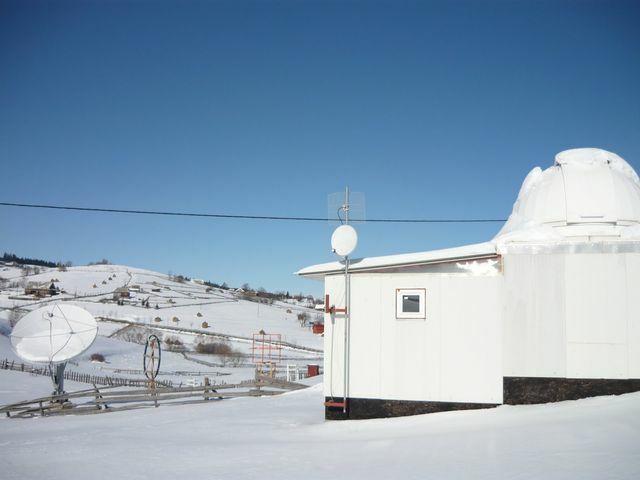 The test bed hosts BITNET's astronomical observatory and several antennas covering different radio bands, from few Hz to 13 GHz. BITNET-CCSS kindly invites you for an exchange of ideas concerning common interests identification.